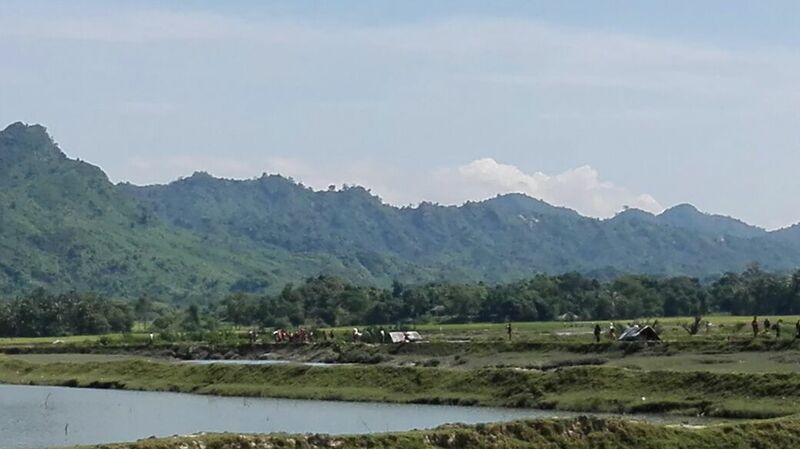 Maungdaw, Arakan – The Rohingya villagers from middle hamlet of Kyi Gan Pyin village tract are being forced to leave their houses by the order of Border Guard Police Chief Police Brigadier General Thura San Lwin today morning. 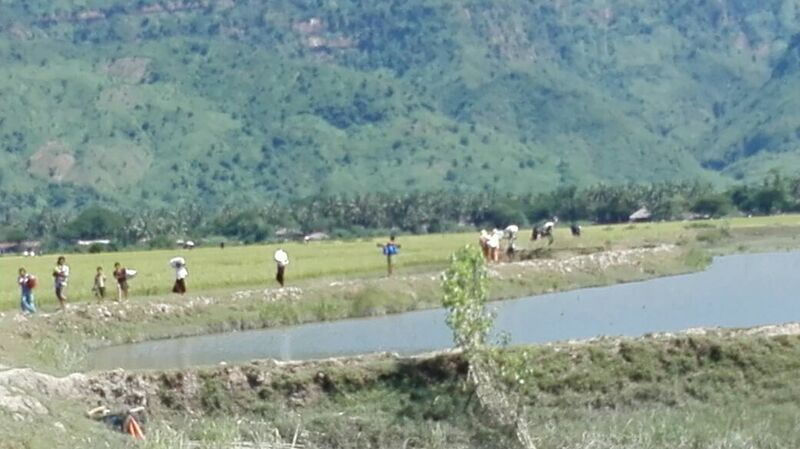 Today, October 23th, 2016 at 8am, two Molvis (Islamic Religious Scholars) from middle and south hamlets of Kyi Gan Pyin were summoned through the village Administrator by the Chief of Border Guard Police. 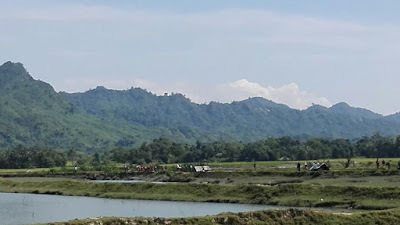 Once the Molvis arrived at the headquarters of the BGP, the Chief Thura San Lwin ordered them to evacuate all the houses in middle hamlet within 24 hours and asked them to inform all villagers to leave for wherever they want. The chief said he doesn’t care where the villagers go. When a Molvi raised question for forcing them to leave from village, the Chief responded to him that it is by the Government’s order. 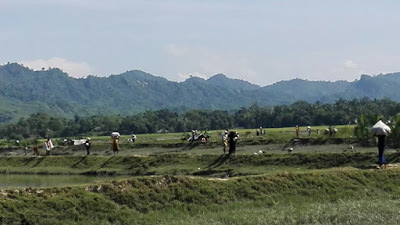 As ordered by the BGP Chief, the villagers from the middle hamlet started leaving from their houses to nearby villages at 11 am, carrying whatever personal belongings that they can. According to the locals, more than 300 houses had to evacuate and at least 2000 villagers are homeless now. Most of them manage their daily livelihood by farming. “We are facing a lot of difficulties as we have to move cattle, goats, chicken and all household things, clothes and others within 24 hours. We face food shortage and roads are blocked. Now we don’t know where we stay. These all houses belong to our forefathers.” an elderly Rohingya man expresses his sadness to RB News. 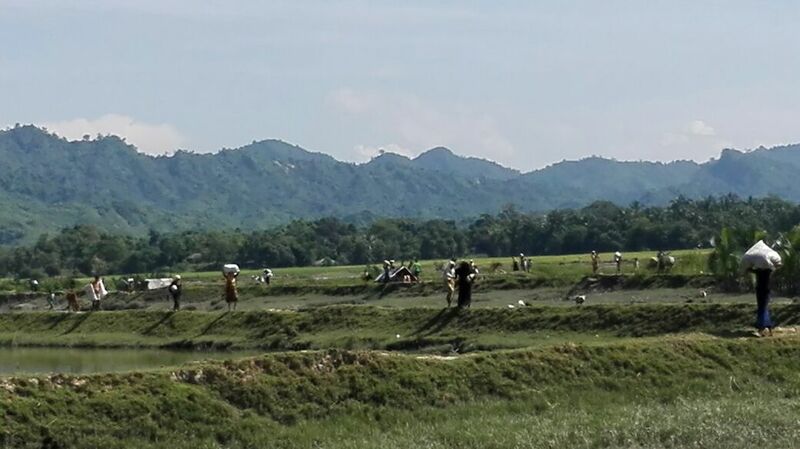 The Burmese government has been confiscating Rohingya properties for more than four decades. It is not new.